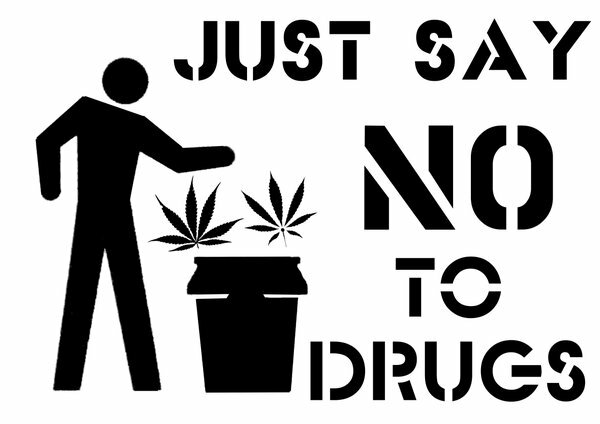 Matt Molgaard’s Grindhouse Double Feature ‘Say No to Drugs’ Arrives This Month! After seeing a number of short stories and flash fiction pieces published in the last year or two, I really wanted to do some work on my own. Something I could relate to, giving you the most accurate tour through a twisted mind. The end result is the double feature “Say No to Drugs”, a grindhouse format of two short stories meant to scare the kiddies right away from drugs. I’ll admit, if this doesn’t work as an effective cautionary tale… your kids are fucked. A double feature in the tradition of vintage drive-in tales, Say No to Drugs serves as a reminder that some clichés are worth paying heed. In The Pot, the first of two tales, terror turns green, while Blue – the double feature’s second tale – should encourage hard drug users to think twice before mixing fatal cocktails. Ray Waltz just wanted to get high as he ushered dreaded high school years into a deep crevice designed to bury life’s strangest of moments; never to be revisited again. But Jimmy Hanniger, local weed-man with the strongest herb in town held different designs for Ray and his future. If only Ray had just said no. In Blue a confused young man must decipher the visual riddles surrounding him. Why are the walls a sudden and mesmerizing blue? Why is there a body sprawled across the floor. And just what is that forcing its way through an ocean of turmoil, bound for dry land; bound for murderous actions? Find out in longtime entertainment journalist, Matt Molgaard’s debut double feature, crafted with the intent of pleasing those who favor whacky, absurd grindhouse films of yesteryear. Stay tuned for live order links, coming in the next day or so!! 2 Comments on Matt Molgaard’s Grindhouse Double Feature ‘Say No to Drugs’ Arrives This Month! Sounds cool! Definitely going to check that out!